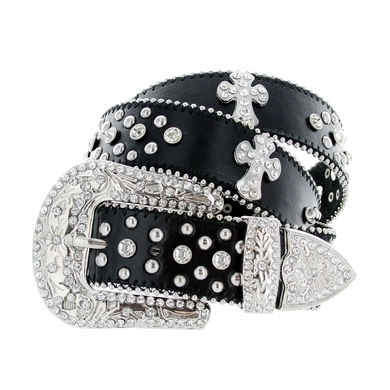 Rhinestone Crystal buckle set Genuine leather belt with great quality. One row of rhinestone and Cross Conchos with silver studs and around. Small studs are around the edge of the belt.